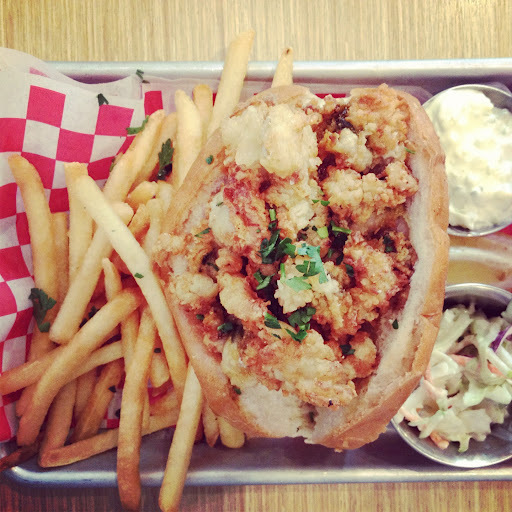 deliciously organized: + FRIDAY FAVES IN THE CITY: WOODHOUSE FISH CO.
+ FRIDAY FAVES IN THE CITY: WOODHOUSE FISH CO. Hide your myfitness pal apps, health journals and put your expandable pants on because if you go to Woodhouse Fish Co. you have to go big or go home. 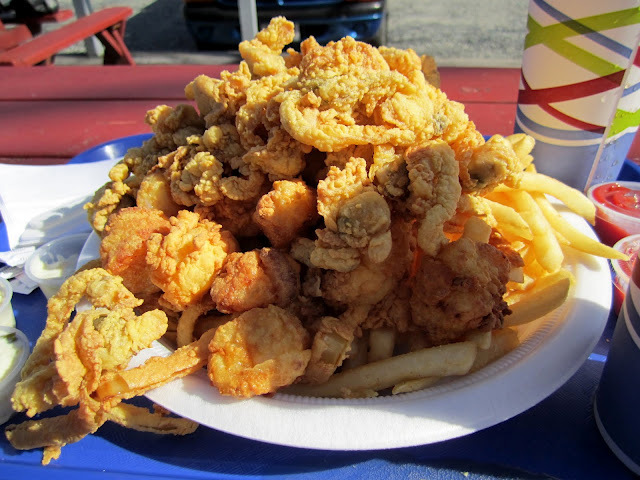 And when I say go big, I mean go for the Fried Ipswich Clam Roll. 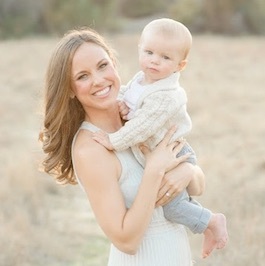 Now before I get into anymore details, allow me to share some background on why I love this nugget so much. Chris & I have a special tie to ipswich clams. When we order this dish it not only delights our senses, but is overwhelmingly nostalgic. We did as he said and visited several times- and each and every time we waddled back to the car in a blissful clam coma. So imagine our excitement when we were looking for a spot to grab dinner one night before a movie (btw- the SF Kabuki for a movie is the only way to go- you can pick your seat before hand, you can BOOZE while you watch- as in there is a 21+ section that sells wine and beer and... you sit in big bucket seats- but, i digress...) and found the Woodhouse Fish Co. and realized they sold this mouthwatering sandwich. Love Woodhouse! Can't beat $1 oysters on Tuesdays. 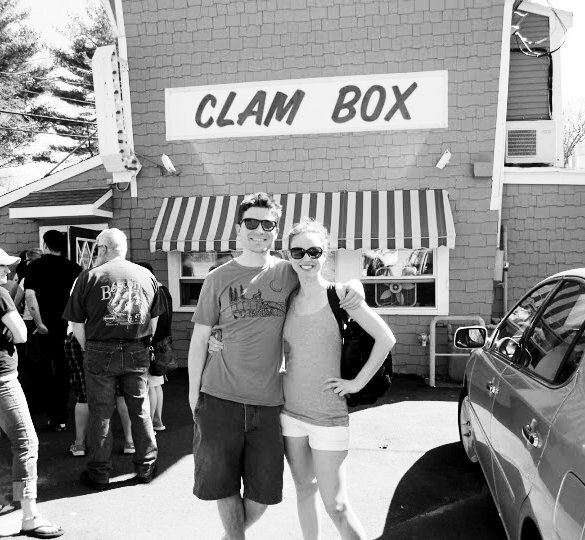 Putting that one on the list too when we come visit in November - yummm! goodness gracious, is this even real... i want to go right now!